Farum Park is a purpose built football stadium located in the north-eastern town of Farum on the island of Zealand. Home to Football Club Nordsjælland since opening in 1999, the 10,100 capacity stadium is the first ground in the Superliga to use artificial turf after installing it for the start of the 2012 season. 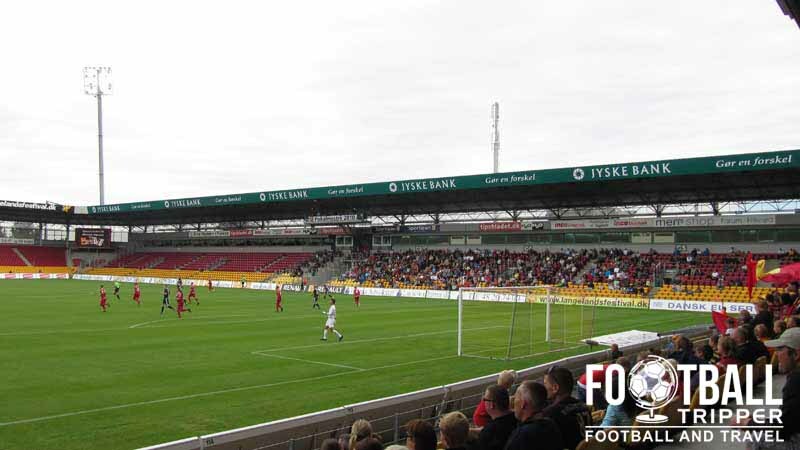 Farum Park has been the home ground of FC Nordsjælland since 1999 and it has coincided with one of the club’s most successful periods,which started with a third place finish during the 2002-2003 season, and ended with the club as Champions during the 2010-2011 season. During this purple patch the club also won back to back Danish Cup titles in 2010 and 2011 after remarkably beating FC Midtjylland in both finals. The stadium opened with a capacity of 10,100 which included 9,800 seats and despite having being open for just under two decades, is yet to undergo any expansions or major renovations as the average attendance in recent seasons is still only around 3,500-4,500. 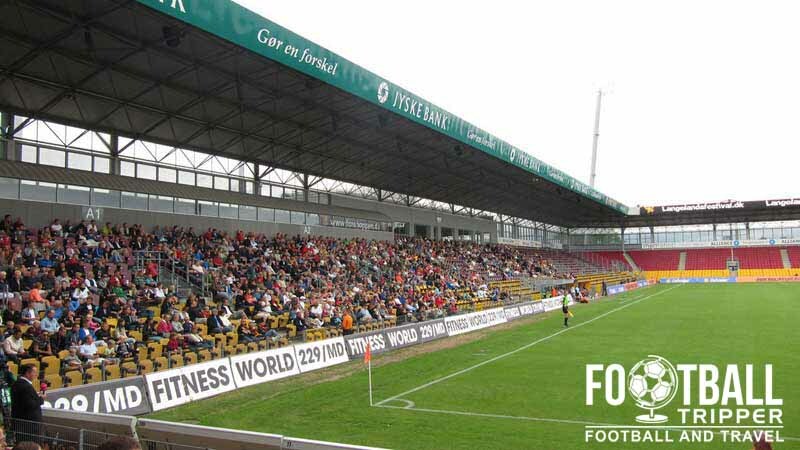 The Stadium tends to sell out for high-profile matches such as the game against Horsens in 2012 when the club were defending their Championship title. Nordsjælland’s Farum Park is famous nationally for becoming the first stadium in the top flight of Danish football to use a type of artificial turf, after installing it during the 2012 seasons. Provided by Limonta Sport, many regard the use of an artificial playing surface in colder countries as forward thinking with a handful of Nordic stadiums such as Color Line Stadion, and Nya Parken also opting to use the more resilient type of pitch. Whilst Farum Park is yet to host a match of the Men’s National Team, it does host numerous matches of the Danish Women’s Team as well as youth matches. 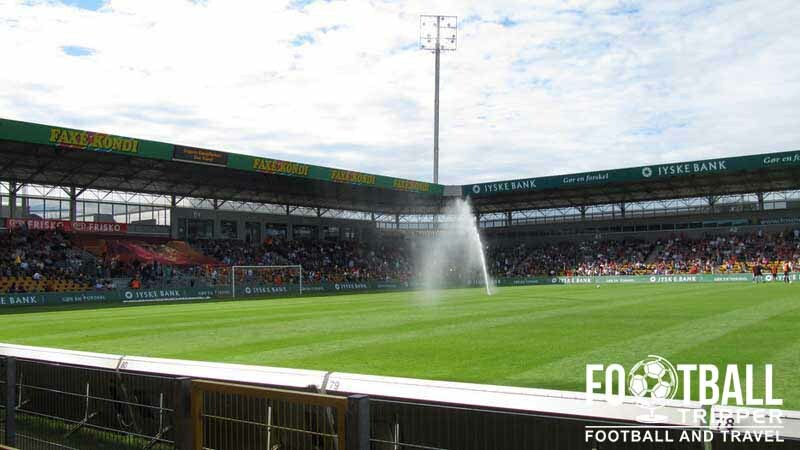 The largest matches held at the stadium to date were undoubtedly during the 2012-2013 season when FC Nordsjælland were drawn in a Champions League group against three European giants in the form of Chelsea, Juventus and Shakhtar Donetsk. Farum Park is comprised of four stands: North, East, South and West. 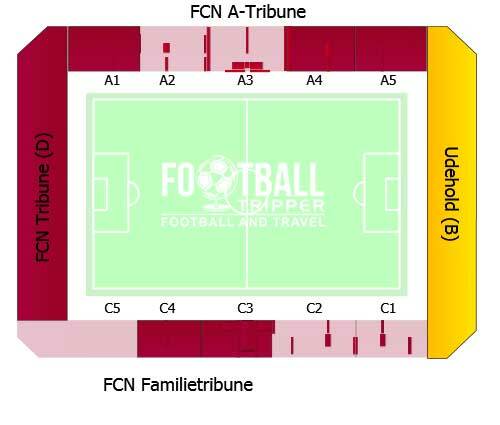 Away fans are housed within sections A4 and A5 within the north-stand or FCN A-Tribune as it is officially known as. Visiting supporters are told to enter the ground via Indgang (gate) 2. The FCN Fan Shop can be found on the western side of the stadium towards the back of the D Tribune on Farum Park Road. With the exception of the online store it is easily the best place to purchase official merchandise. On matchdays the FC Nordsjaelland club shop is open for around 2 hours before kick-off and then for 0 minutes after the full time whistle. Tickets to see FC Nordsjælland play at Farum Park can be purchased via the usual channels including online, from the club shop and from the various ticket offices which open one hour before kick-off on matchdays. On the day: 145 Kr. Please note that ticket prices can occasionally change for cup matches and high-profile matches although this is rarely the case. 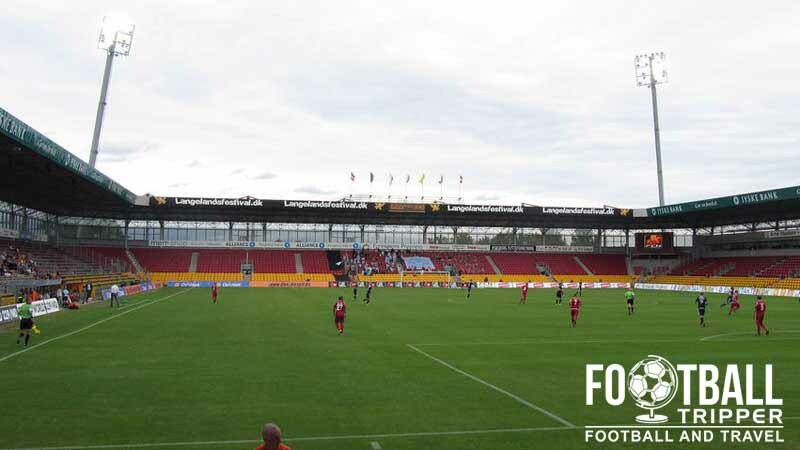 Farum Park is located approximately 2.0 km from the town centre which means the stadium enjoys the benefits of being accessible by both foot and public transport. FC Nordsjælland were originally founded as Farum Boldklub but were renamed in 2003 to North Zealand which is the name of the local region. There is a medium sized car park available for anyone to use on matchdays north-west of the stadium just off of Paltholmvei road. Farum Station is situated 1.6 miles away which means the resulting walk is likely to take no more than 20 minutes. Farum Station originated as a stop on the Copenhagen-Slangerup, and today features fast services to the nation’s capital after being upgraded with S-Trains. The Idrætsvænget Bus Stop on Ryttergårdsvej south of the ground is served by bus number 333 which departs from the train station. The closest major airport to Nordsjælland is undoubtedly Copenhagen-Kastrup Airport which is 40 km to the east. This is the largest international airport in Denmark and features numerous flight carriers. At the stadium itself there is the FCN Hotel which is in an unbeatable location for those wishing to maximise their football experience. As there aren’t really many places to stay in town it’s far from the worst accommodation option!